Love to travel? Carry this most important accessory you will need on all expeditions. The classic Aviator is curved more and has mercury blue lenses with a brown wearer tint on silver metal frame. Sounds like your sense of style? Need more colour options? Check out MCV3681, MCV3680, MCV3432, and MCV3682. Travel Junkie? Carry the most important accessory you need on all your adventures. The classic Aviator is curved more to perfection and has blue-green lenses with a grey wearer tint on a silver metal frame. Sounds like your sense of style? Need more colour options? Check out MCV3681, MCV3680, MCV3682, and MCV3431. Travel Junkie? Carry the ultimate accessory you will need on all your adventures. 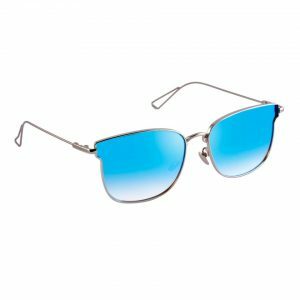 The classic aviator is curved more to perfection and has Mercury Blue Lenses on Silver Metal Frame. Sounds like your sense of style? Need more colour options? Check out MCV3434. Have fashion sense of a Rockstar and love to pose? Here is your Silver Framed Aviator with Golden Reflector Lenses having Grey wearer tint. Let the captures speak for you! Need more colour options? Check out MCV3433. Fan of Classic Aviators? Add this must-have pair with Matte Gold Metal Frame featuring Mercury Brown Lenses to your collection. Need more colour options? Check out MCV3635, and MCV3636. Your collection of Sunglasses is incomplete without this one! Grab this classic pair with Matte Black Metal Frame made of Stainless Steel; featuring Mercury Blue Green Lenses with Grey Wearer Tint. Need more colour options? Check out MCV3634, and MCV3635. The one who wears Aviator is not bounded by rules and norms. They stand out in their modern reinterpretations. So live in the moment with this classic Aviator pair with a silver metal frame featuring mercury blue lenses with grey wearer tint. Need more colour options? Check out MCV3573, and MCV3694. An undying staple of coolness, aviator glasses are a favourite among outspoken people who don’t just talk but walk the talk. Escalate the show time with trendy aviator pair with a silver metal frame featuring Mercury Blue Lenses and adjustable nose tips. Need more colour options? Check out MCV3697, and MCV3435. 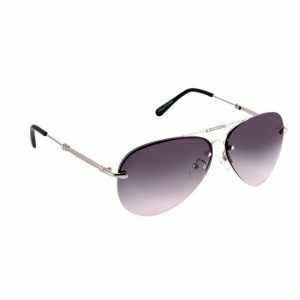 Be a trendsetter with these rimless MacV Cateye featuring mercury pink lenses with a grey wearer tint and make heads turn. Need more colour options? Check out MCV3488 and MCV3489. Go for these hipster charmers and stay trendy. This rimless MacV Cateye, featuring mercury red/orange lenses with green wearer tint will give you the showstopper look. Need more colour options? Check out MCV3487 and MCV3488. This oval shaped Cateye is one of the few that comes in metal frame. 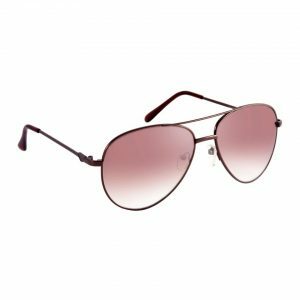 The style with a matte copper frame featuring dull gold lenses with a grey wearer tint is suitable for most of the face structures. Need more colour options? Check out MCV3624 and MCV3625. Who says cats-eye sunglasses are only for women to rock? This trendy style is set to be a wardrobe staple irrespective of the gender. Round Cateye with transparent frame and mercury blue lenses with a brown wearer tint is here to transform your sunglass wardrobe. Need more colour options? Check out MCV3628 and MCV3629. 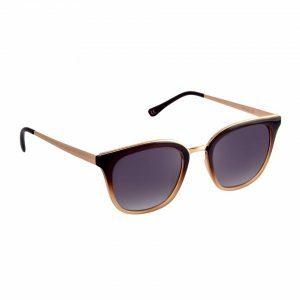 Once you start wearing a cats-eye sunglasses, this chic style is set to be a wardrobe staple for years to come. Elegant round Cateye with transparent frame and mercury pink lenses with green wearer tint is your style to adorn. Need more colour options? Check out MCV3627 and MCV3629. The timeless style of a cats-eye sunglass will become your wardrobe essential forever. Elegant round Cateye with transparent frame and mercury silver lenses with a grey wearer tint is your style to be. Need more colour options? Check out MCV3627 and MCV3628. 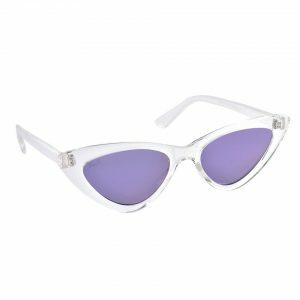 This trending Cateye sunglasses with transparent frame and mercury purple lenses with grey wearer tint will elevate your style bars. Need more colour options? Check out MCV3714, MCV3716 and MCV3717.